Trees have always been useful to humans and have provided them with numerous benefits. However, sometimes they tend to do more harm than actual good. When a tree begins to cause harm to your Federal Way property or your home, then it is time you looked to hire professional tree removal services for stump removal and stump grinding. Hunter’s Tree Service provides you with high-quality tree stump removal services in the Federal Way community. We have been in the tree removal services business for over 25 years, and we are definitely a reliable name in the tree care industry. Stump removal is quite a dangerous task to do if the individual is not trained or does not have the equipment to carry out the work. As a result he can end up hurting himself or causing further damage. If you are looking for a quick process for stump removal of any dead and rotting trees on your Federal Way property then the best action to take is to have stump grinding done. This is one of the quickest and most effective methods available for tree stump removal that can prove dangerous to your home and property. Such tree removal services, like stump grinding, are necessary if you are interested in maintaining a healthy garden. Hunter’s Tree Service is equipped to provide you with a complete range of tree removal services and tree care services that will take care of all aspects. From tree stump grinding to tree care advice, all these services are available right around the corner. When it comes to tree removal services, Hunter’s Tree Service is one of the most trusted and experienced service providers in Federal Way. Tree stump removal often becomes necessary after storms as trees can get knocked over and cause excessive damage. Sometimes old trees are needed to be removed beforehand to prevent storms from toppling them over. If this all seems to be too overwhelming, do not worry. We will provide you with the very best of tree stump grinding to make sure that your Federal Way yard appears the best. 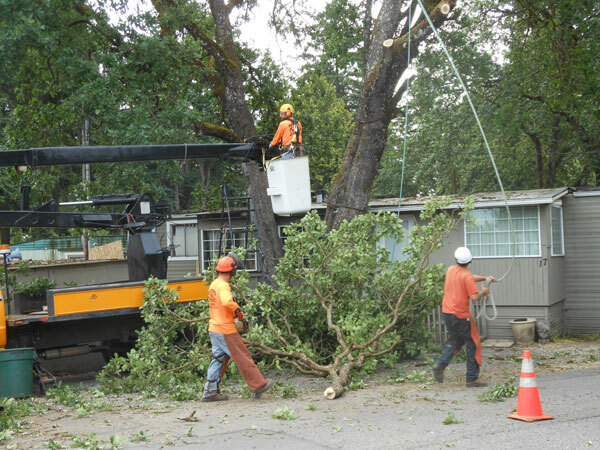 Not just for visual appearances but you need expert tree removal services to make your Federal Way home a safer place to live in.